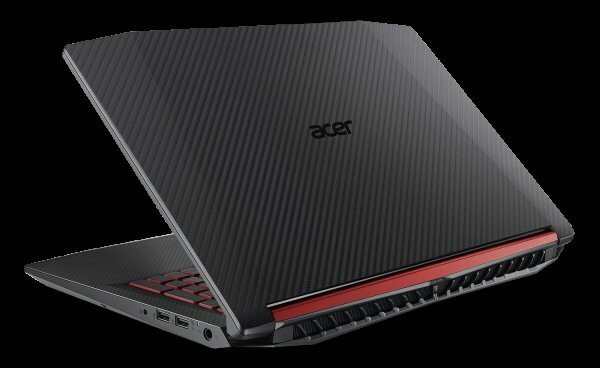 Acer has announced today refreshed Nitro 5 gaming laptop with improved specifications. It is powered by latest 6 Core high performance 8th Generation Intel Core processor with Optane memory or AMD Ryzen 5 processor. The refreshed Nitro 5 now comess with new chassis design which features a top cover with elegant laser texturing with matte, crimson red hinge to make it look gorgeous. 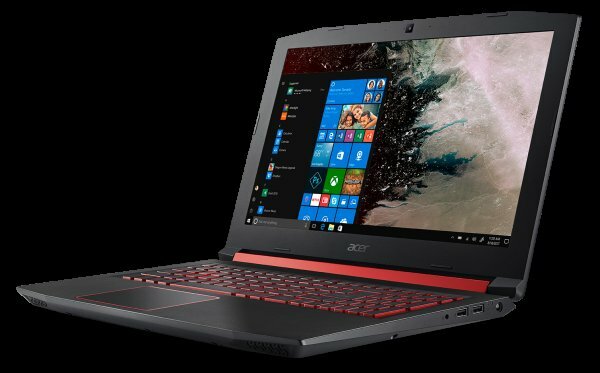 The new Acer Nitro 5 is packed with the latest-generation 6 Core high performance 8th Generation Intel Core processor with NVIDIA GTX 1050 or 1050Ti graphics card or the AMD Ryzen 5 processor with Radeon RX560 graphics for faster rendering, improved lighting and texture details. Intel Optane memory gives fast read and write speeds, quick loading and restarting in mere seconds so players can get to the action immediately. Moreover, the system memory is now clocked at a 2666MHz which is about 10% faster than the current standard as claimed by Acer. It incorporates new Nitro Sense control software for Cooling management and System Monitoring for the monitoring of the CPU/GPU. It comes with 15.6 inch Full HD IPS display and a front-facing HD web camera. This machine allows you to broadcast games live with Mixer, directly from the Game bar on Windows 10 simply by pressing the Windows key plus G.
The Nitro 5 features finely-tuned, high-quality speakers with Dolby Audio Premium and Acer TrueHarmony technology for enjoying every sound of a game. For connectivity, it supports fast and reliable dual-stream 802. It has also been enabled with an updated wireless which gives a speed of 1.73 GBPs which is 4 times faster than the Traditional 1x1ac Wireless, a plethora of ports, including hyper-fast USB Type-C, HDMI 2.0, and Gigabit Ethernet to enable users to enter any arena prepared to execute every mission at the highest level. The all new Acer Nitro 5 will be available in India at ACER Exclusive stores, major retailers and E-commerce sites. Prices starts at INR 65999 for AMD based model and INR 72999 for the 6 Core Intel processor based model.